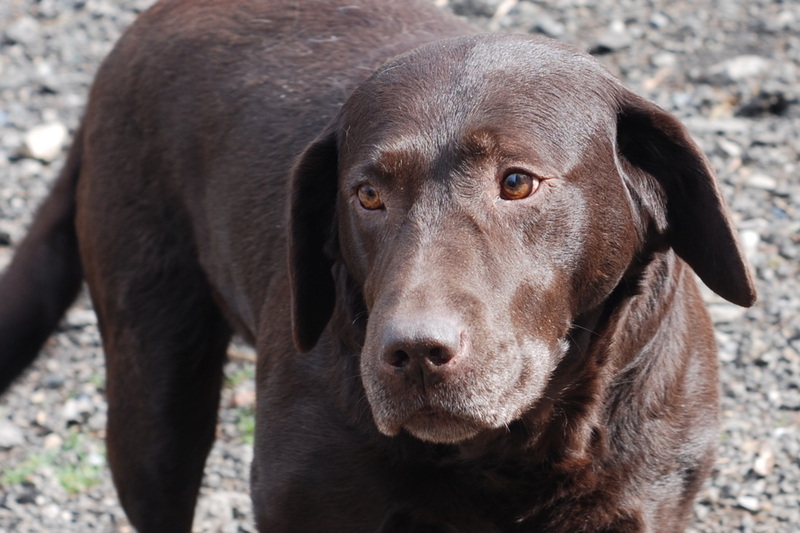 Maisie is my beautiful dark chocolate girl. She's very slender in build and I had many enquiries from people who prefer that to the chunkier show types and wanted a puppy from her. Unfortunately Maisie's hip score was such that I decided not to breed from her and she was spayed. Her high hip score doesn't, however, prevent her from running like the wind and she could give any greyhound a good run for its money!